Looking at the little tyke, you’d never guess that he would go on to become a martial arts champion and get married five times to four different women. 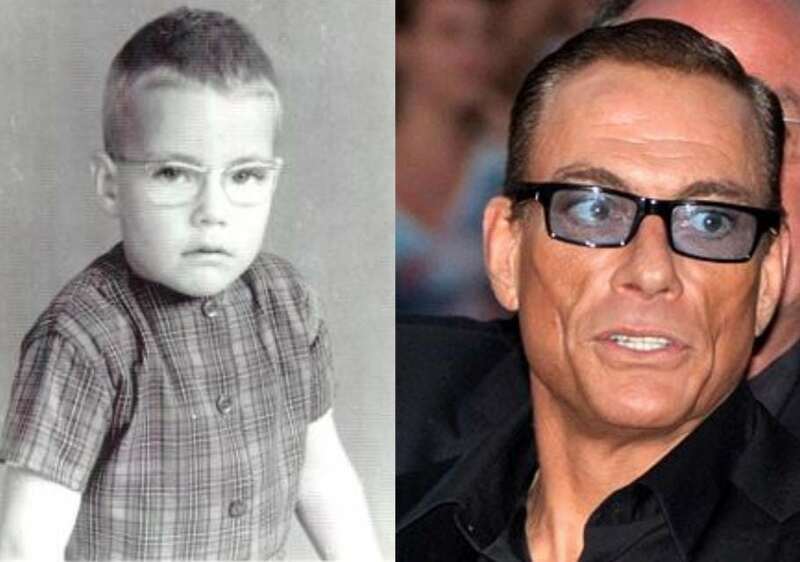 Let’s start at the beginning, Jean-Claude Van Damme was born in Belguim. At the age of 12, Van Damme joined the National Center of Karate, trained for four years and earned a spot on the Belgian Karate Team. In 1982 he moved to the US hoping to make it big in Hollywood and incredibly enough got his breakthrough starring in the movie Bloodsport based on the alleged true story of Frank Dux. It became a U.S. box-office hit in the spring of 1988. He got the role because the producer was looking for a new martial arts star who appealed to both men and women.